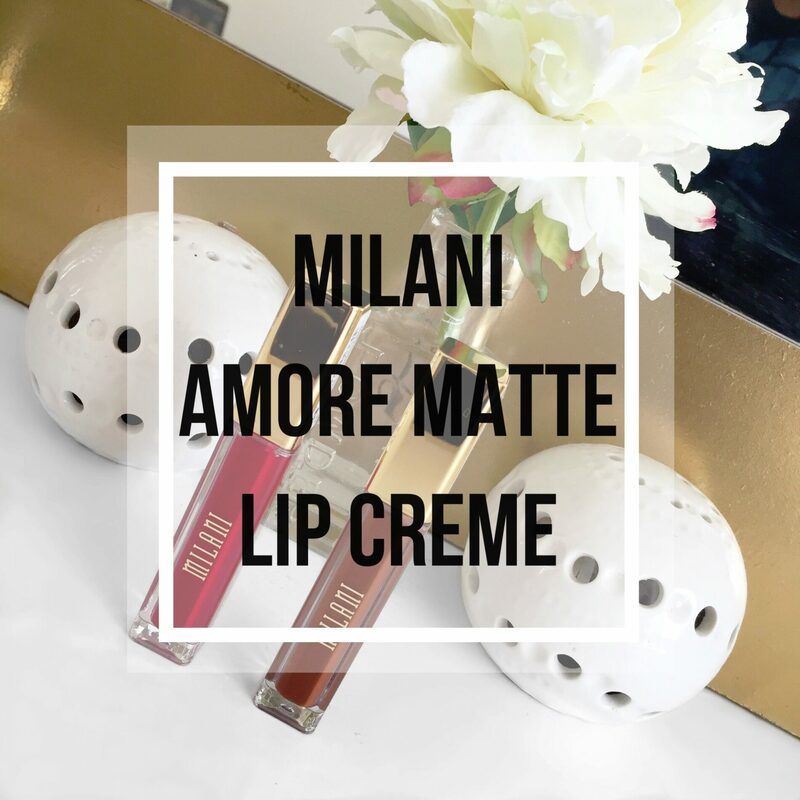 Milani came out with Amore Matte Lip cremes, and the best part is: it will be in their permanent line! They are a liquid/creme to matte finish, ranging in the most beautiful colors. The applicator is double sided which makes it really easy to apply on the lips. I have to say that so far they are one of my favorite drugstore liquid lipsticks. For Matte Cremes, they are not as drying and is creamy when applied to the lips. Initially they are a little tacky, but after they are fully dried, that goes away. The colors are also actually very Matte compared to other products that claim they are. The only downside is that they do not last all day, especially when you eat. They last for a good 6-7 hrs, but the minute you start eating it tends to crumble off and disappear from inner part of lips. They can be reapplied but I prefer to wipe it all off before reapplying. I picked up three shades and I am in LOVE with each and every one of them! Devotion is my favorite red lip color so far. It’s a deep dark red, not dark enough to be vampy but the perfect sultry red. The amount of compliments I got with this color on was unreal! If there is one color you need to get it is this one. Loved is a more neutral pinky brown lip color. It’s a nice everyday color you can wear out and about. The color looks even better when applied with a dark mauve lipliner. If you are looking for a dark matte brown lip color, look no further. Covet is a beautiful chocolate brown that I think looks absolutely beautiful, especially on brown skin. Overall, I really recommend these products. I’m a Milani lip junkie, and their lip products get better and better. Keep an eye out for them since they are a little difficult to find. You can find them in certain drugstores, and I found mine at Walmart for $7.97.